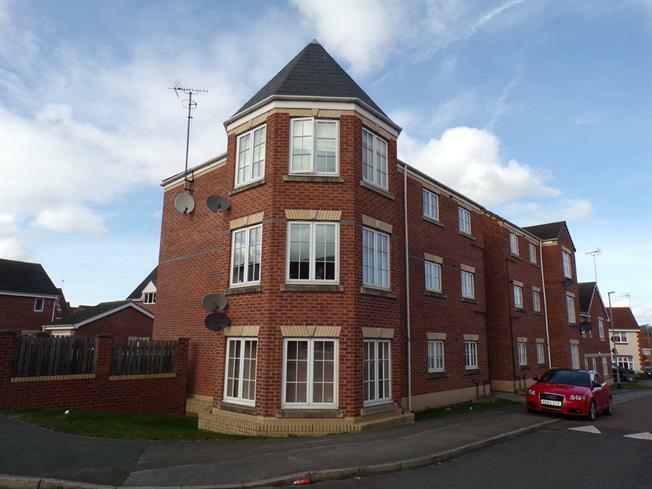 3 Bedroom Flat For Sale in Mansfield for Asking Price £100,000. Frank Innes are pleased to welcome to the market this well presented three bedroom ground floor spacious apartment, which doesn't want to be missed for the size and specification of the apartment. The property comprises of communal entrance hallway leading through the front door to the hallway, modern fitted kitchen with space for appliances, three spacious double bedrooms, main living area which it on the front of the property which is a really generous size and family bathroom suite with shower over the bath. The property benefits from being double glazed throughout, allocated parking and intercom system to let visitors in and out of the block. Double glazed uPVC window facing the front. Radiator, spotlights. Roll top work surface, wall and base units, single sink, integrated oven, gas hob, overhead extractor. Double glazed uPVC window with obscure glass facing the rear. Heated towel rail, tiled flooring, ceiling light. Low level WC, panelled bath, shower over bath, pedestal sink.